Recent analysis carried out by Ofgem - a supporter of the upcoming Big Energy Week - has suggested that the profit margins enjoyed by energy suppliers have fallen, according to an article published by BBC News. Ofgem have said that energy firms previously made Â£125 per customer per year in October; however this figure is said to have fallen to Â£105 per customer per year. The profit margin has been forecast to fall to Â£85 by Ofgem within the next six months. In a report, set to be published on a weekly basis next year, Ofgem have said: "We indicated in our October report that we expected net margins to begin declining due to the persistence of high wholesale energy costs." The wholesale cost of energy led the figure to fall as low as Â£15 per customer per year earlier this year. 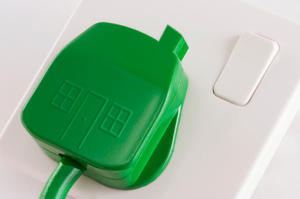 Ofgem also revealed that the average bill for a customer on a dual-fuel contract currently stands at Â£1,345 a year.